Quiz: What's the Best Perfume for Your Mom? Within the first week of life, newborns are capable of recognizing the scent of their own mother and after a few short weeks, most babies prefer the smell of their mom to the smell of another woman -- no joke! As the mother's scent becomes forever wired into the infant's brain, this helps form a strong bond between the two of them. That said do you know what type of perfume your mom likes? If you're not quite sure what her perfume preference is, you definitely know her likes and dislikes (sometimes all too well, right?) such as her favorite flower, color, time of day, etc. In light of Mother's Day (which is fast approaching -- it's May 9th, in case you need to pop a reminder into your calendar), we called on someone who nose best -- scent aficionado Sarah Horowitz-Thran, founder of Sarah Horowitz Parfums, a Westlake Village, Calif.-based fragrance house. We put our noses together to create this quiz that'll help you find the best perfume for your mom. Based on the scent feedback you enter about your mom, you'll get results that'll let you know which women's perfume category she falls in to: Citrus/Clean, Oriental/Gourmand, Floral, or Fruity. 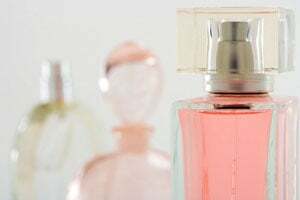 Not that any of that info matters unless you see our second piece of advice, which is a list of a few perfume suggestions that fit into each group. So instead of browsing through a ton of beauty products or getting a headache from sniffing every perfume that lines the walls of Sephora to find one that suits your mom best -- this quiz will help narrow your perfume search so that you can pick up a gift in minutes. Wouldn't your mom be so proud? What qualities best describe your mom? My mom does love flowers, so floral scent is perfect for her! Seems like the quiz gave me the totaloppoite of what I think her scent style would be. I totally agree with the results! A nice choice was offered! I think that the answer was to simple. The result was citrus/clean and that is one of the answers I chose. At least now I have some ideas of what perfume to get my Mom. My mom likes floral fragrances. She doesn't like oriental type fragrances. Her favorite is Estee Lauder's Private Collection - Tuberose Gardenia. I was hoping this quiz would give me some other ideas that she would like. Oh well, can't win them all.